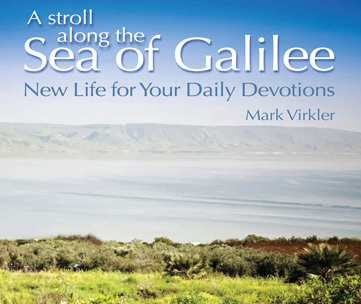 Home » Blogs » Mark Virkler's blog » What Does the Bible Teach about Visualization? Answer: Thank you for your question, Mary. What we teach is that if man chooses what he wants to picture and visualizes that, then that is wrong. If God grants you a dream or a vision, or Jesus paints a parable, or the Bible tells a story, it is not wrong to picture these things. We define "Godly Imagination" as picturing things the Bible says are true. Then as I hold this promise and picture in my heart, meditate on it and ponder it, God produces a miracle in the fullness of time. For Abraham, a child was born 25 years later. God has created us with eyes in our hearts with which we can see, picture and visualize. God wants to fill these eyes with His dreams, visions and images (Acts 2:17). Jesus lived in pictures continuously (Jn. 5:19,20,30). Jesus filled the eyes of His listeners by constantly teaching with parables (Matt. 13:34). We are commanded to meditate on the Word, which involves prayerfully rolling it around in our hearts and minds. Since the Bible is full of picture stories, we will by necessity be picturing as we meditate upon Scripture (Josh. 1:8). When we reason together with God, He uses imagery (Isa. 1:18). A picture is worth 1000 words, so when I see something, it has the power to change me much more greatly than when I simply think a thought. That is why God says we are transformed (changed) "while we look" (2 Cor. 3:17,18; 4:16-18). When I see myself clothed with Christ's robe of righteousness (Gal. 3:27), it appears to influence me more greatly than when I simply recall the Scripture verse that "I am the righteousness of God in Christ Jesus" (Phil. 3:9). God counsels us at night through our dreams (Ps. 16:7). Even the Lord's supper utilizes imagery. As Jesus broke the bread, He said, "This is My body" and as they drank the wine, He said, "This is My blood" (Matt. 26:26-28). I see this imagery as I partake of the Lord's supper, and by doing so, it impacts me greatly every time I do it. The Bible is absolutely full of dreams, visions, pictures, images, and parables from cover to cover, so obviously God is big on imagery. When David prayed, he used imagery (Ps. 23). When David worshipped, he used imagery (Ps. 36:5,6). When David walked, he pictured the Lord at his right hand (Acts 2:25; Ps. 16:8). When we "abide in Christ (Jn. 15:4), we can use the same technique. In the Tabernacle in the wilderness, God establised much imagery that was an integral part of approaching Him (Ex. 25:8-22). In the New Testament, we are told that Jesus is the Image of the invisible God, and we are to "fix our eyes upon Him" (Heb. 12:1,2). David was clearly visualizing the Lord at his right hand (Ps. 16:8; Acts 2:25). So in both Old and New Testaments, God has ordained imagery as part of our approach to Him. I personally use imagery in all the above ways, and find it extremely beneficial in my Christian walk. God has told me that whatever I fix my eyes on, grows within me, and whatever grows within me, I become. So instead of fixing my eyes on my sin, or my self effort to become righteous, I fix my eyes on Jesus, and I discover that I become Christ-like, and find myself radiating His goodness and His glory! Submitted by Anonymous on July 14, 2014 - 07:46. Some people just don't understand. We visualize every moment of our lives. You visualize what you're going to do tomorrow, you visualize what you're going to eat. To say that Godly vision is a sin is absurd. Submitted by Anonymous on October 18, 2016 - 10:44. I tend to agree. Saying that visualization is sinful is very close minded. So God gives us free will but the free will is only to be used within "these" walls? 2. You must not make for yourself an idol of any kind or an image of anything in the heavens or on the earth or in the sea. You must not bow down to them or worship them, for I, the Lord your God, am a jealous God who will not tolerate your affection for any other gods. I lay the sins of the parents upon their children; the entire family is affected—even children in the third and fourth generations of those who reject me. But I lavish unfailing love for a thousand generations on those[b] who love me and obey my commands. The only one of these that comes close to saying "Do not use creative visualization" would be the Second Commandment. Even that one does not specifically say it. To me, its all up to interpretation. Am I going to go to Hell because I chose to visualize a life that is better than the one I am currently experiencing? God knows all and he knows that I will use creative visualization to, hopefully, better my life and in bettering my life I will be able to use my life in a Christian way. Realizing this and the fact that I plan on continuing my walk with Christ, then how can anyone say that using creative visualization is a Sin or goes against the Bible's teachings or against Christianity? Submitted by Anonymous on November 15, 2018 - 23:33. I was brought up in a Brethren church that was so rigid and closed to anything non-traditional. Thank God I was awakened to see that Christianity is far more freeing and tolerant than what we want to make it to be. There is so much freedom in Christ that we will be amazed when we get to heaven and find out all the joys that we missed. Submitted by Anonymous on July 9, 2017 - 14:07. I agree that creative visualization is harmless and that it should be used to enhance our lives. God has given us the gift of imagination and if we can use it for good, why not? Submitted by Anonymous on August 28, 2017 - 21:12.
a Leader having your kids in a circle and then he guides them through fields and forests with his stories, all eyes shut and hands out like yoga poses, - well this is just wrong. It is up to us to focus on Scripture and help the kids with this, and the Holy Spirit Himself will guide them with His light whatever He wants. New Agers are using this to practically hypnotize kids with their ‘visualizing’. It is just wrong. Submitted by Mark Virkler on August 29, 2017 - 13:55. I believe that the primary place our eyes are to be fixed is on Jesus (Heb. 12:1,2). Whenever I lead people in visionary prayer, Jesus is always in the scene, and we always pray for the Holy Spirit to enlighten the eyes of our hearts (Eph. 1:17), and tune to flow, so we step into a vision where we are are interacting with Jesus. Submitted by Mark Virkler on July 10, 2017 - 07:31. I define Godly Imagination as "Picturing things God says are true." So what I want to visualize are those things God says are true. This way, I bring God's blessings and God's realities into my life. Submitted by Anonymous on December 19, 2017 - 16:37. I use visualization in my therapy for bipolar disorder and chronic fatigue syndrome and fibromyalgia as well as other chronic health conditions. I also use other therapies. I don't believe any of these three things are wrong as long as they are focused on God, His Word, and the Holy Spirit working in me and around me to do Gods will. In all three i choose where to direct my thoughts. I can choose how to sit so I'am comfortable enough to relax and get the most out of the therapy. Picturing a forest or a valley or whatever is for me a way of focusing on Gods creation. Pretending i am a seed or an acorn growing up and out helps me to connect my life with Gods will for me, my purpose and His plan for my life. Choosing to be aware of the way my body feels allows me to make small changes to improve my pain, breathing, relaxation, muscle tension, etc. As long as i choose to focus on God, i believe these therapies are helping me on my journey, why not use them if they help. They help me to be aware in the moment if something is not right, in my body or mind, in my thoughts and emotions, in my conversations, etc. I can then turn to God and ask for his help. Submitted by Mark Virkler on December 20, 2017 - 15:34. I would encourage you look at our Prayers That Heal the Heart training package: http://www.cwgministries.org/store/prayers-heal-heart-audio-cd-package Also, try the approach listed here: http://www.cwgministries.org/blogs/checklist-restore-maintain-health Full restoration is possible. I pray God guide you as you pursue full health.